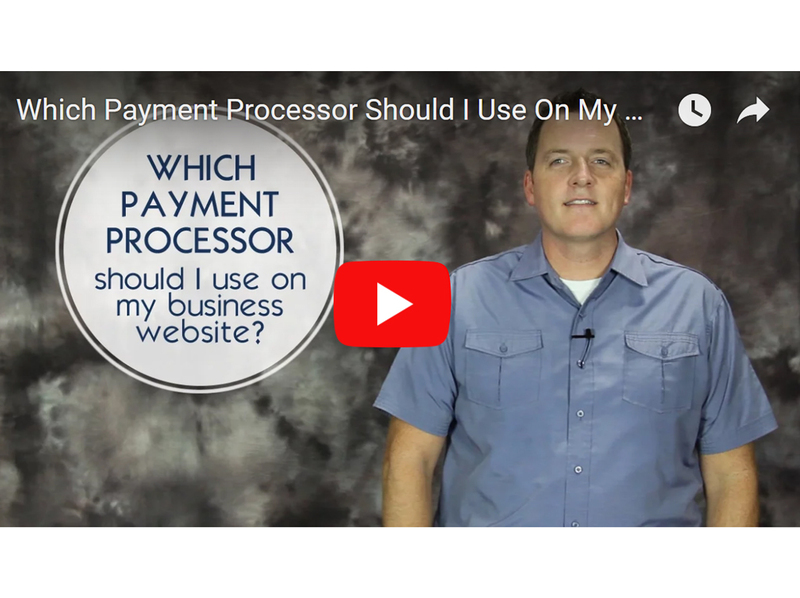 One of the questions I often get asked is “Which payment processor should I use on my website to accept online payments?” As a business owner, maybe you’re developing a new e-commerce store or just want to incorporate the ability to take payments online. As you begin to do research solutions to use, I want to give you some options to consider. Check out the video below to see what some good options are and also to learn some of the vital questions to ask. Is it mobile ready? If you are in a business where you need to be able to take payments when away from your office or using your mobile phone/iPad, will you able to process a payment easily on that device? Is it easy to use for customers and easy to get paid? What is this process going to be like for my customers when they check out? When they make a payment, is it going to be easy for them to do? For you the business owner, is it going to be easy for me to get the funds transferred to my bank account? What kind of fees and cost are associate with using this processor? Be sure to ask about the fine print. Ask how much it costs per transaction and how much it is on a monthly basis. Some payment processors charge a monthly fee just to have that service while others just charge a small fee per transaction. Will this processor grow with my business and are there limits? As business owners, we hope our businesses will grow. It is important to know will a payment processor scale and grow as my business grows or will there be a limit on how much I can process per month. As you begin to research with merchant account or payment processor to use, take your time, do your research and then ask the right questions. As you do that, you’ll be able to identify the best payment processor for your business growth and that will fit your needs. Hoping that you find the best fit for your website and business!